Red is an oak tree who is many rings old. Red is the neighborhood "wishtree"―people write their wishes on pieces of cloth and tie them to Red's branches. 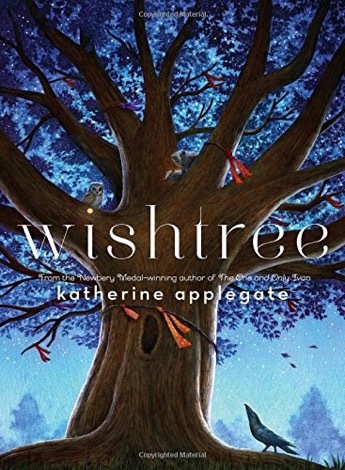 Along with a crow named Bongo and other animals who seek refuge in Red's hollows, this wishtree watches over the neighborhood. Funny, deep, warm, and nuanced, this is Katherine Applegate at her very best―writing from the heart, and from a completely unexpected point of view. In this unforgettable multicultural coming-of-age narrative—based on the author’s childhood in the 1960s—a young Cuban-Jewish immigrant girl is adjusting to her new life in New York City when her American dream is suddenly derailed. Ruthie’s plight will intrigue readers, and her powerful story of strength and resilience, full of color, light, and poignancy, will stay with them for a long time. Ruthie Mizrahi and her family recently emigrated from Castro’s Cuba to New York City. Just when she’s finally beginning to gain confidence in her mastery of English—and enjoying her reign as her neighborhood’s hopscotch queen—a horrific car accident leaves her in a body cast and confined her to her bed for a long recovery. 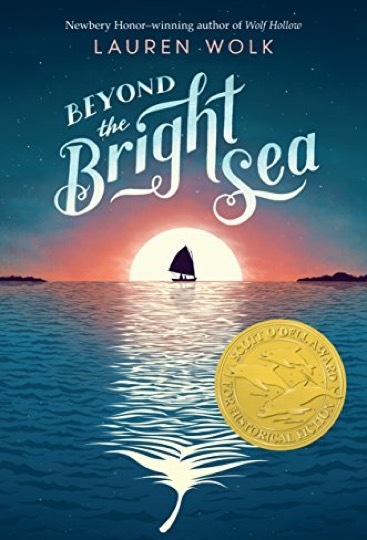 As Ruthie’s world shrinks because of her inability to move, her powers of observation and her heart grow larger and she comes to understand how fragile life is, how vulnerable we all are as human beings, and how friends, neighbors, and the power of the arts can sweeten even the worst of times. Sixth grader Alec can’t put a good book down. So when Principal Vance lays down the law—pay attention in class, or else—Alec takes action. He can’t lose all his reading time, so he starts a club. A club he intends to be the only member of. After all, reading isn’t a team sport, and no one would want to join something called the Losers Club, right? But as more and more kids find their way to Alec’s club—including his ex-friend turned bully and the girl Alec is maybe starting to like—Alec notices something. Real life might be messier than his favorite books, but it’s just as interesting. 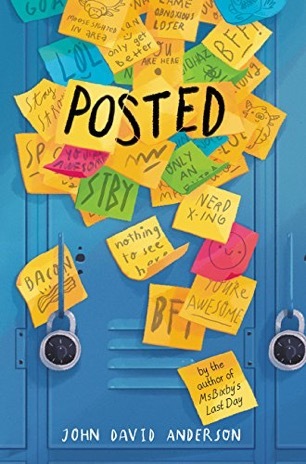 With The Losers Club, Andrew Clements brings us a new school story that’s a love letter to books and to reading and that reminds us that sometimes the best stories are the ones that happen off the page—our own! Erin Entrada Kelly’s Hello, Universe is a funny and poignant neighborhood story about unexpected friendships. The seaside town of Isla has many stories, the most notable being the legend of the Seafaring Parrot. Locals claim that the Seafarer remembers every sound, every whisper, cry, laugh, or snort ever uttered. But, though there have been rumored Seafarer sightings, no one has actually seen the bird before. Other stories surround a boy named Pablo, who had washed up on shore in a blow-up swimming pool as an infant with only a lavender parrot as a companion. Now, on the eve of his tenth birthday, the stories are repeated. “At first I thought it was a huge fish,” Emmanuel, the man who found and took Pablo in, says. Pierre, the baker’s guess was a good one: Perhaps Pablo has come from an undiscovered country, one unknown to the rest of the world. Maybe the inhabitants there lived in tree houses, or underground. Or maybe he’s a pirate baby. But Pablo wants the truth, and the only one who might know it is Birdy, his parrot. After all, she was there, holding onto the raft. But unlike most birds who live in Isla, Birdy can neither talk or fly. Or, at least, she never has. 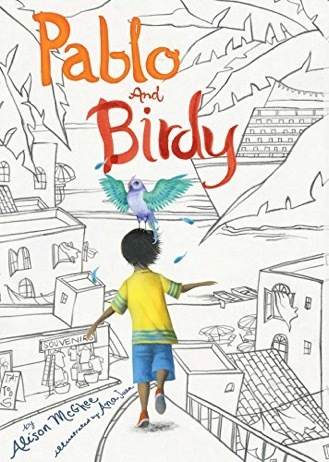 Until…one day, when strong winds begin to blow—winds similar to the ones that brought Pablo to shore—Birdy begins to mutter. Could Birdy be a Seafaring parrot? If she is, then she will be able to tell Pablo the true story of where he came from—of who tied him so lovingly and safely to that raft? But, if she is, that also means the second part of the Seafarer myth is true…that Seafaring Parrots will, eventually, fly away. As Pablo is buzzing with questions, hopes, and fears, an old saying echoes in his mind: winds of change mean fortune lost or fortune gained. And while the winds rise in Isla, Pablo holds tight to Birdy. Would losing his companion, his dearest link to his past, be that loss? Two Truths and a Lie is the first book in a fascinating new series that presents some of the most crazy-but-true stories about the living world as well as a handful of stories that are too crazy to be true—and asks readers to separate facts from fakes! From rising star Caela Carter, author of My Life with the Liars, comes a captivating and heartfelt story about siblings who learn that love can never be divided, only multiplied. Flora and her brother, Julian, don’t believe they were born. They’ve lived in so many foster homes, they can’t remember where they came from. And even now that they’ve been adopted, Flora still struggles to believe that they’ve found their forever home. So along with their new mother, Flora and Julian begin a journey to go back and discover their past—for only then can they really begin to build their future. Eleven-year-old Lorenzo Ventura knows heroes are rare—like his father, who died in the war, or his friend Paloma Lee, who fearlessly pursues her dream of being a famous musician. Renzo would never describe himself as a hero, but his chance comes when he adopts Marty, a runt piglet. Marty is extraordinary—he thinks he’s a dog and acts like one too—and his bond with Renzo is truly one of a kind. At first, the family farm seems like the perfect home for Marty, but as he approaches 350 pounds, it becomes harder for Renzo to convince his mom that a giant pig makes a good pet. So when Marty causes a dangerous (and expensive) accident, Renzo knows Marty’s time is up. He’d do anything and everything for his best friend, but will everything be enough to save Marty? Paul Griffin masterfully melds the heartrending and the hopeful in this unforgettable story about the power of friendship . . . and the unsung heroes all around us. From the New York Times bestselling and Coretta Scott King award-winning author Nikki Grimes comes an emotional, special new collection of poetry inspired by the Harlem Renaissance--paired with full-color, original art from today's most exciting African-American illustrators. Inspired by the writers of the Harlem Renaissance, bestselling author Nikki Grimes uses "The Golden Shovel" poetic method to create wholly original poems based on the works of master poets like Langston Hughes, Georgia Douglas Johnson, Jean Toomer, and others who enriched history during this era. Each poem is paired with one-of-a-kind art from today's most exciting African American illustrators--including Pat Cummings, Brian Pinkney, Sean Qualls, James Ransome, Javaka Steptoe, and many more--to create an emotional and thought-provoking book with timely themes for today's readers. A foreword, an introduction to the history of the Harlem Renaissance, author's note, poet biographies, and index makes this not only a book to cherish, but a wonderful resource and reference as well. David can eat an entire sixteen-inch pepperoni pizza in four minutes and thirty-six seconds. Not bad. But he knows he can do better. In fact, he’ll have to do better: he’s going to compete in the Super Pigorino Bowl, the world’s greatest pizza-eating contest, and he has to win it, because he borrowed his mom’s credit card and accidentally spent $2,000 on it. So he really needs that prize money. Like, yesterday. As if training to be a competitive eater weren’t enough, he’s also got to keep an eye on his little brother, Mal (who, if the family believed in labels, would be labeled autistic, but they don’t, so they just label him Mal). And don’t even get started on the new weirdness going on between his two best friends, Cyn and HeyMan. 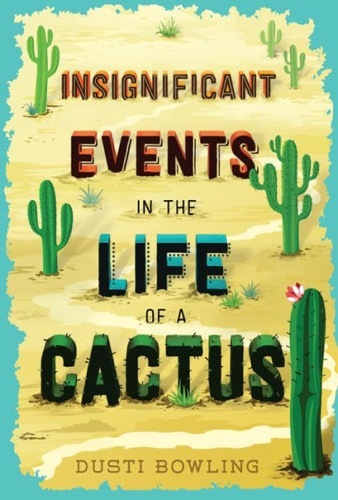 Master talent Pete Hautman has cooked up a rich narrative shot through with equal parts humor and tenderness, and the result is a middle-grade novel too delicious to put down. 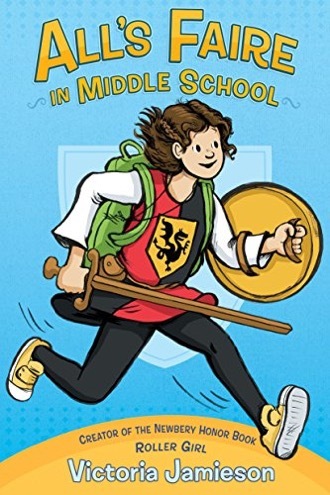 Eleven-year-old Imogene (Impy) has grown up with two parents working at the Renaissance Faire, and she's eager to begin her own training as a squire. First, though, she'll need to prove her bravery. Luckily Impy has just the quest in mind—she'll go to public school after a life of being homeschooled! But it's not easy to act like a noble knight-in-training in middle school. Impy falls in with a group of girls who seem really nice (until they don't) and starts to be embarrassed of her thrift shop apparel, her family's unusual lifestyle, and their small, messy apartment. Impy has always thought of herself as a heroic knight, but when she does something really mean in order to fit in, she begins to wonder whether she might be more of a dragon after all. As she did in Roller Girl, Victoria Jamieson perfectly—and authentically—captures the bittersweetness of middle school life with humor, warmth, and understanding.